This awesome men's bi-fold wallet is made from premium vegan leather. It measures 4.0x3.5x0.5 inches, and features the standard billfold, 5 card slots, and windowed id holder. The logos are applied using advanced printing technologies, so the wallet will still look good after years of hard use. 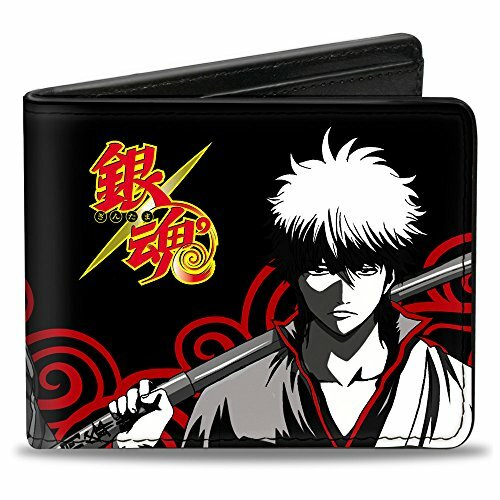 This product is officially licensed by gintama and made in USA by Buckle-Down Inc.